Every year Dallas homeowners receive a property assessment notice. This notice shows homeowners the assessed value of their property by the assessor in their jurisdiction. While most people automatically start worrying about their potential property tax bills coming up in the next year, there are four things that we think you should keep in mind when reviewing your property assessment notice. How does your property measure up with the rest of the market? These notices should not be confused with the property tax bill that one would receive in November. Your actual property taxes are not stated on this notice. Although, by reviewing the taxable value on your assessment, you can have a good idea of what to expect when it comes time to pay. A local property tax consultant will be able to help you calculate your potential upcoming property taxes based on the information in your assessment. Your assessment is usually carried out by either the replacement method, the sales comparison method, or the income method. Regardless of the method used, the assessment shows what your county assessor believes that your property is worth by Tax Day of that year. When thinking about why your property was assessed at a certain value, it is important to consider whether or not you have added any value to your property. If so, your taxable value will most likely increase. Your property tax consultant can help you determine if any changes you’ve recently made will have any significant impact on your overall bill. 3. How Does Your Assessment Compare to Your Neighbor’s? Having an understanding of your local market will help you determine how accurate the assessment of your property is. In order for you to have a more detailed understanding, you may need to get a professional second opinion. Make a meeting with your property tax consultant, local appraiser or a realtor who can help you estimate your property’s value. This second opinion can also help you understand if the assessment measures up with comparable properties in the area. If, after reviewing your assessment, you believe that there is incorrect information on your notice, you have the opportunity to protest this documentation. Talk with your assessor or property tax advisor to find out when the deadline is to file a protest. From there, you can dispute your assessment and make a solid attempt at saving money on your next property tax bill. Making sure that your property is properly assessed is important. The wrong assessment could end up costing you money in the long-run. 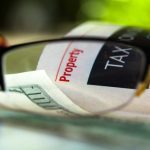 Let the property tax experts at the Hegwood Group help you understand your assessment and how to approach any potential disputes. Contact us today to set up a consultation with one of our property tax professionals.